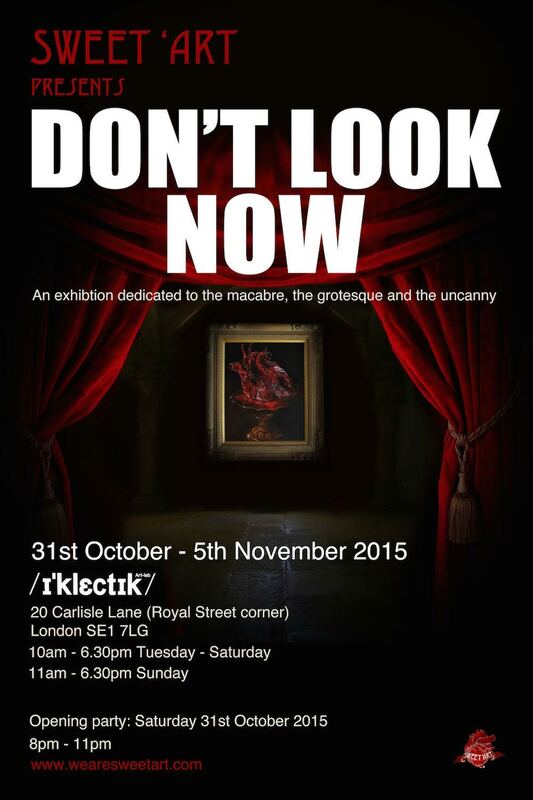 I will be exhibiting two pieces for the Halloween exhibition called 'DON'T LOOK NOW.' Brought to you by SWEET ART. Just to let you guys know, my art will appear at the 2015 Moniker Art Fair from the 15th till 18th October at Old Truman brewery in collaboration with www.artonapostcard.com. As the name would suggest, collectable art pieces on postcards will be available to win via a £50 lottery ticket with all proceeds going to the national UK charity, 'the Hepatitis C Trust'. This event has previously starred the likes of Damien Hirst, Gilbert & George, Mark Quinn and many more.